Brother Terry "Jerry" Williams Sr. was the son of the late Mr. Jeff and Mrs. Louise Williams. He was born on February 23, 1968, in Colquitt, Georgia. Brother Williams departed his earthly life on Tuesday, August 28, 2018, at his home in Donalsonville, Georgia. He was preceded in death by his wife Maria A. Williams; three brothers J. C. Williams, Richard Williams and Gregory Williams; brother-in-law Aurthor Calloway; and sisters-in-law Betty Sol and Gladys Williams. 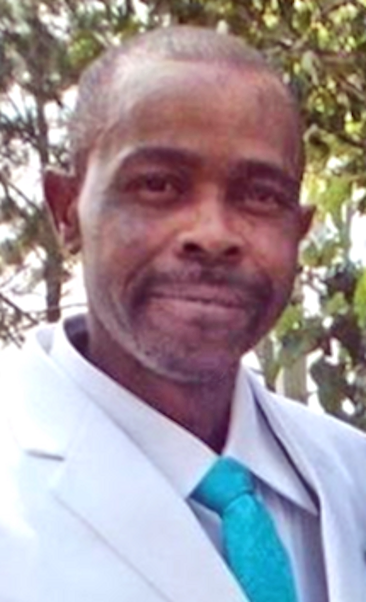 He leaves to mourn his one son, Terry Williams Jr. of Fayetteville, North Carolina; four daughters: Jasmine Rambeau (Jaborie) of Donalsonville, Georgia, Kongaydra Williams of Bainbridge, Georgia, Shy’Quanda Blanks of Colquitt, Georgia, and Ingland Williams of Iron City, Georgia; and two grandsons, Omari Williams of Tennessee and Jacob Rambeau of Donalsonville. He also leaves behind his significant other, Marcia Wade of Iron City; five brothers: Charlie Williams (Ann), Oscar Williams (Sandy), both of Miami, Florida, Larry Williams (Dorothy), Johnny Sol, both of Donalsonville, and Eddie J. Williams of Colquitt; three sisters: Janice King (Thomas) of Milton, Florida, Virginia Williams, and Katie Mae Williams (Jimmy), both of Colquitt; one aunt, Lillian Wallace of Donalsonville; two brothers-in-law, Joseph Buggs Sr. and Wayne Austin, both of Donalsonville; three special nephews: Lamar Williams, W. C. Mitchell, and Johnny King Jr.; two special nieces, Lukicha Williams and Tameka Hention (Eric); and a host of other nephews, other nieces, cousins and friends.